Devolo’s recent expansion into smart homes and home automation doesn’t mean that they’ve been neglecting their powerline network business. After upping their game with their top-of-the-line dLAN 1200 series, they’ve turned their attention to the mid-range, refreshing the design and boosting speeds. 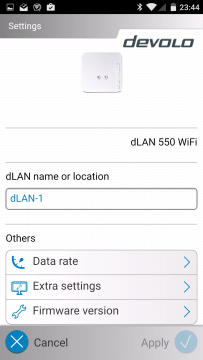 The new dLAN 550 series updates the dLAN 500s, offering greater in-house range and faster WiFi transmission rates. For those unaware of powerline networking, it’s a system that uses electrical wiring to carry network data, with ethernet-to-power adaptors where networking is required. 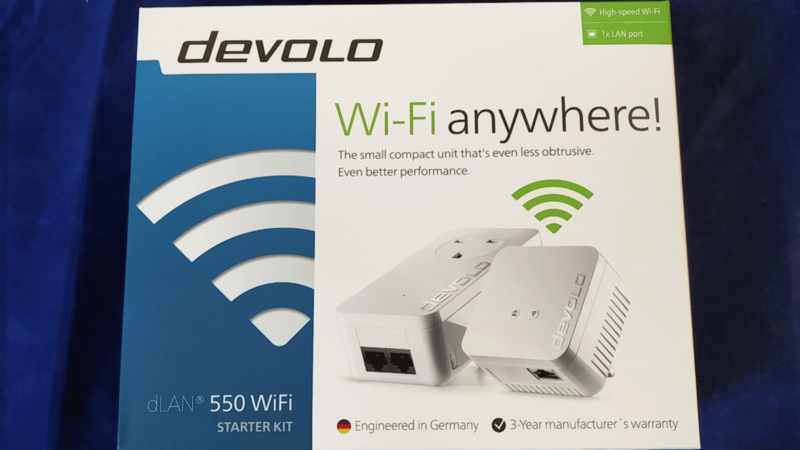 Devolo kindly supplied me with a dLAN 550 WiFi Starter Kit to check out. Let’s take a look. The box is Devolo’s usual fare, with a printed outer box and a plain cardboard inner box. In the box there are two powerline adaptors, one 550 Duo+ and one 550 WiFi. There’s also a white network cable, instructions and a couple of flimsies on “conformity”. 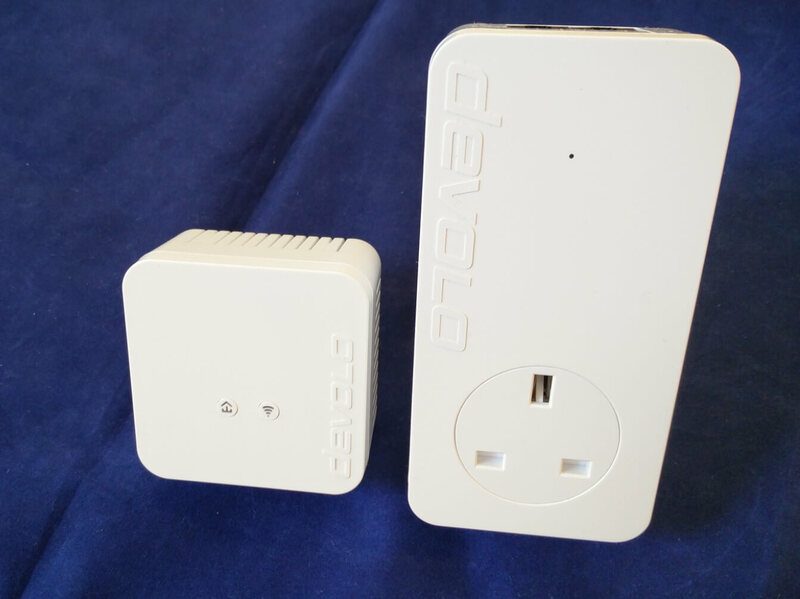 The new style Duo+ is roughly twice the size of the WiFi unit, extending upwards from the UK-style power plug. The unit has twin network ports on the top and power pass through. There’s a small button on one side and a single white LED above the power socket. As for the more compact WiFi unit, it’s had a design refresh too, with a single ethernet port on the bottom, and two round buttons on the front which double up as indicator LEDs. Getting going is easy. Plug the Duo+ into a power socket near a router and connect both of them with an ethernet cable. Plug the WiFi adaptor into a socket where additional wireless coverage is need. The two adaptors are paired out of the box and a few seconds after plugging in the units, the white LEDs will stop flashing and go solid. If the adaptors need to be paired (or added into an existing powerline network), it’s simply a case of pressing the pair button on both devices for a few seconds and they’ll sync up. To setup the WiFi, there’s a couple of options. Devolo have desktop app, Cockpit, for Microsoft Windows, Apple OS X and Ubuntu Linux which can be downloaded from Devolo. 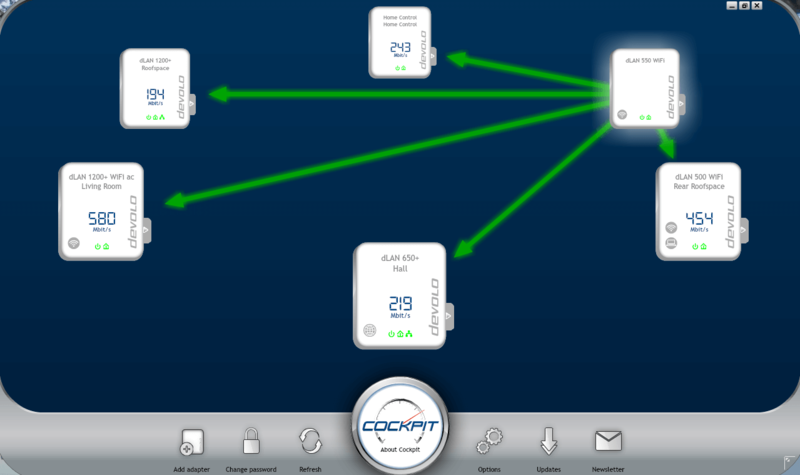 This provides a graphical representation of the dLAN network which clicks through to individual adaptors. The application finds everything automatically and can check that all the adaptors are running the latest versions of their respective firmware, upgrading as necessary. I take some of the data transmission speeds with a pinch of salt, and rely on “bigger is better”. There’s a mobile version of Cockpit available from Apple’s App Store and Google Play, called “My Devolo”. It’s not as graphical as the full software but it’s still feature rich, allowing access to a wide range of device features. 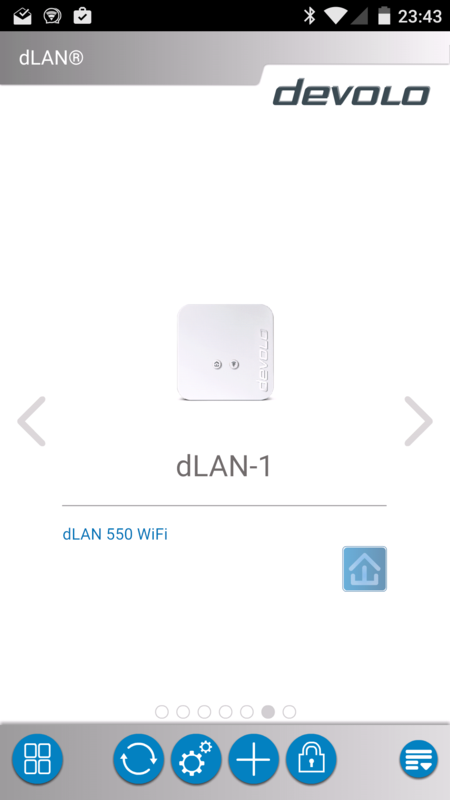 Here’s detail for the 550 WiFi. In the app, the wifi network can be configured as preferred with SSID, passphrase, channel, mode and encryption standard. Everything expected of a wireless access point. 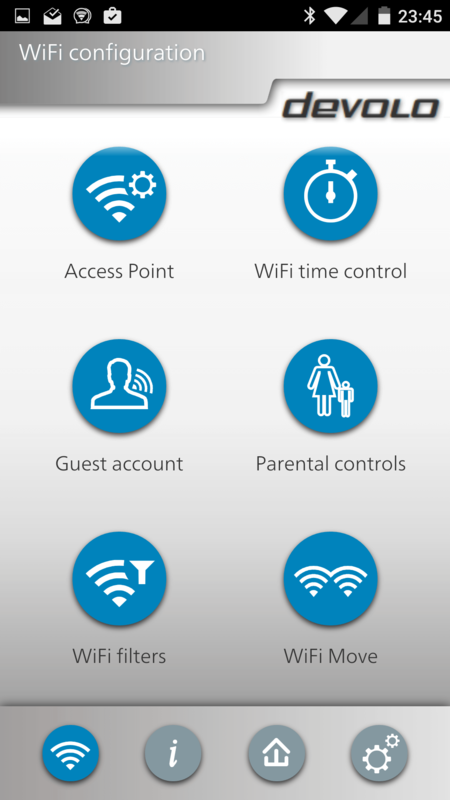 Aside from the wireless settings, there are sections for parental controls, guest access and MAC address filtering and WPS features. 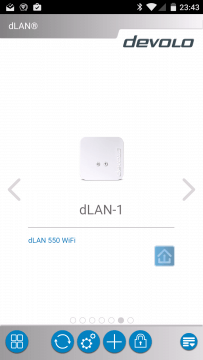 The 550 WiFi is an 11n device working in the 2.4 GHz frequencies. It’s not 11ac 5GHz, but the 550 boosts transmission rates to 300 Mb/s over the 500’s lower 150 Mb/s by using 2×2 MIMO (multiple input, multiple output) technology. Obviously, the laptop or tablet has to support the faster wireless rate and while the base data rate may have doubled, actual data transfer won’t. A quick bit of testing suggests that a real-world increase of around 50%-60% is realistic under good conditions. YMMV. Returning to the Duo+, the adaptor uses all three electrical cables (live, neutral and earth) for networking, which increases performance and range by a third from a notional maximum of 300m to 400m, though this will be affected by local circumstances. My house isn’t big enough to test this, so we’ll just have to trust Devolo on this one. 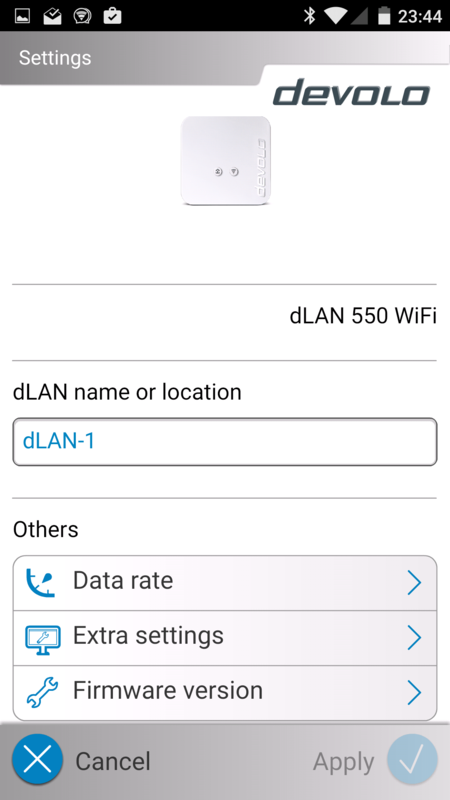 The dLAN 550 WiFi is now available online and in stores. 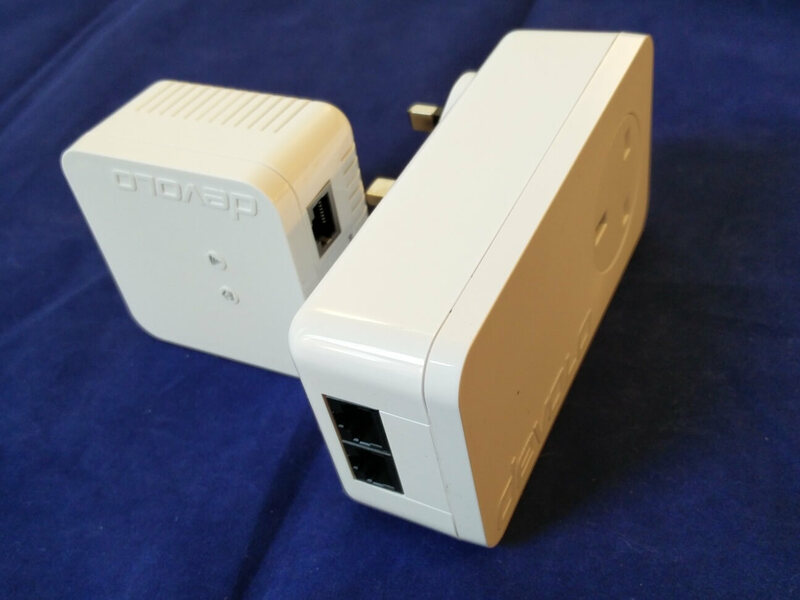 The Starter Kit costs GB£99.99 and consists of a dLAN 550 WiFi and an additional dLAN 550 duo+ adapter. A Network Kit with three adapters (two 550 dLAN WiFi adapters and one dLAN 550 duo+) is available for £149.99, while single adapters for extending the WiFi network are available for £59.99. 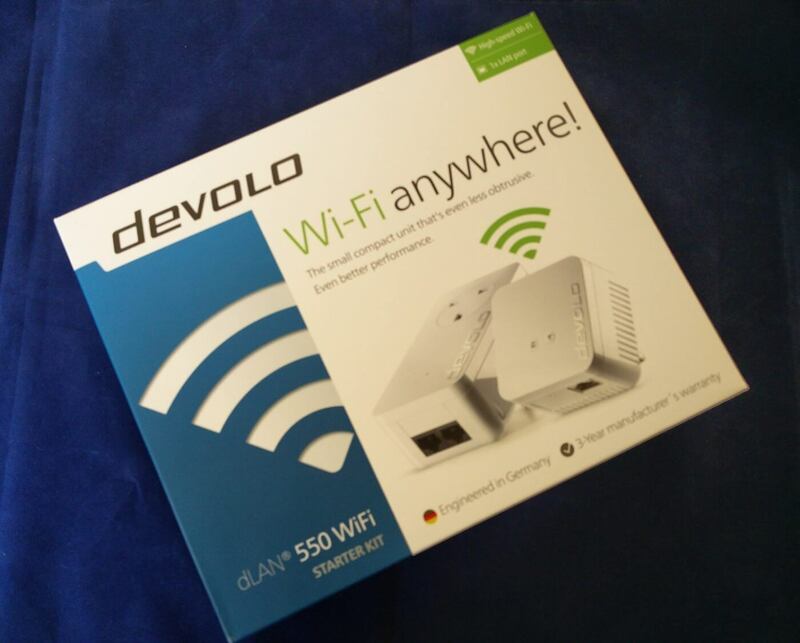 Thanks to Devolo for the 550 WiFi Starter Kit for review.